The Mumbai Brahmasthanam was consecrated in 1995. Brahmachari Bhodhamrita chaitanaya was in-charge of the construction. 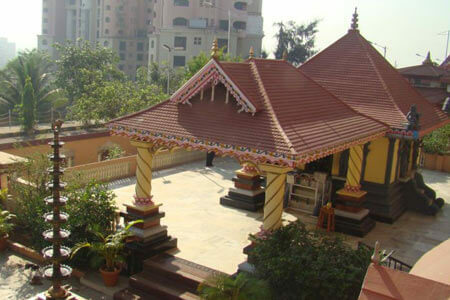 Devotees from many parts of mumbai participated in the construction of the temple. The Brahmasthanam temple is an unique concept of Amma in temple worship, having 4 deity in one stone – consecration depicting the unity in diversity.